The Performance Flannel features a nylon/poly fabric blend that's softer than cotton, dries in a snap, and is durable enough for any beating. This year Royal Robbins has added Odor Control technology to ensure that you stay fresh all day long. Weightless warmth and breathabilty make it an extremely versatile shirt for winter travel, fall hikes, or layered under your ski gear. 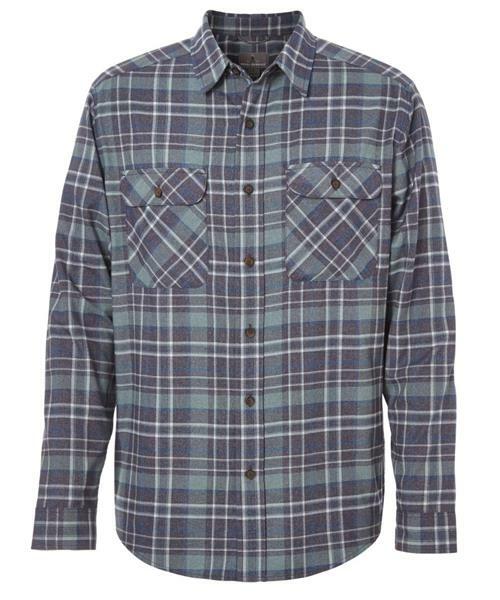 Between never having to throw it in the dryer (yes, it dries that fast) and wrinkle resistance, it's the most easy-care flannel shirt around. Featuring eco-conscious bluesign® approved fabric.